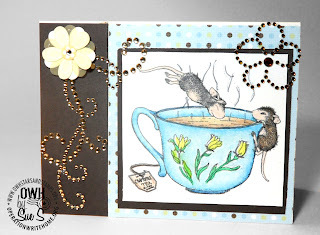 Sue blogs at Dancing In the Puddles - you'll want to go see more of her cards! Somewhere around ten years, I think, but it seems like I've always been trying something. 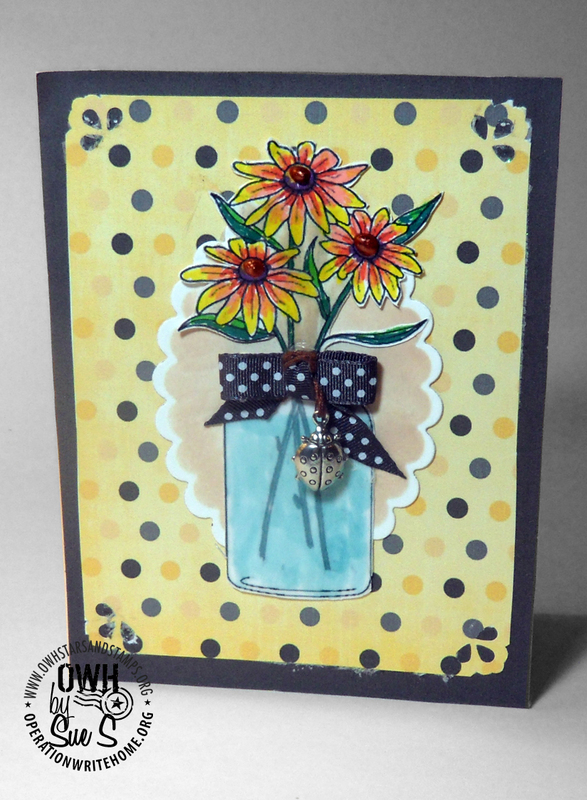 Yes, I have a nice general purpose room where I can relax, stamp, and indulge my card making passion very comfortably. 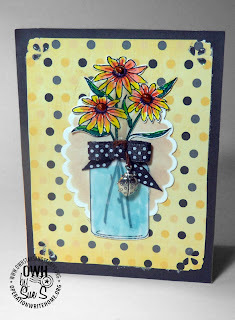 Right now I've been leaning towards the House Mouse and Magnolia stamps, but I love anything new, fun, interesting, which makes it impossible to pin down a favorite. 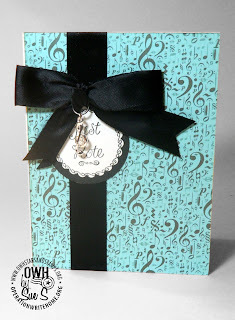 I guess I'd have to say, heat embossing but again how do you choose one favorite when there are so many wonderful techniques to pick from? I seem to lean toward brights more often than not and I absolutely love the red, black and white combo. I use that a lot. The lovely ladies on my Yahoo card making groups kept mentioning your organization so I had to see for myself just what you were all about. That's an easy one. These fine men and women are sacrificing so much for us I feel it's an honor to be able to give something back to acknowledge their service, and this is the best way I can contribute. 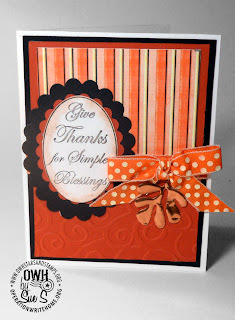 It's rewarding to think maybe I can brighten someone's day with a simple gesture of friendship. It's nice to meet you Sue, your cards are beautiful! These cards are all lovely Sue. 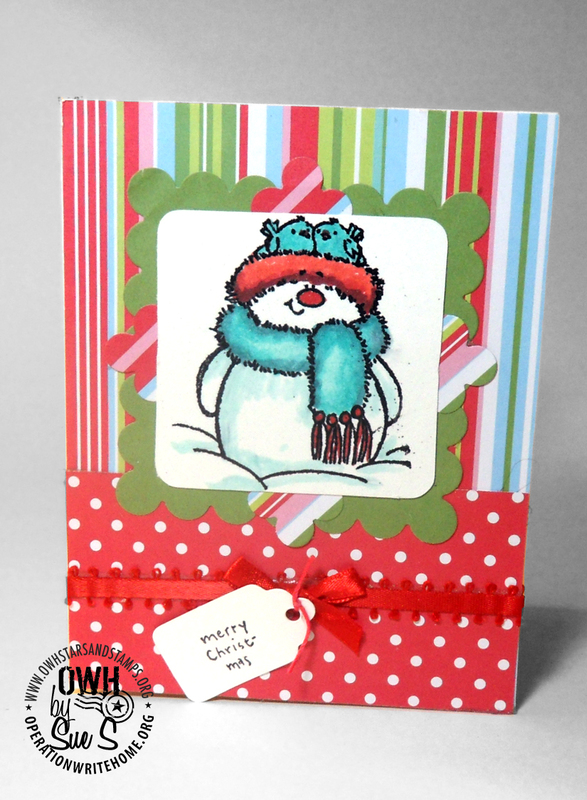 What a wonderful job with choosing just the right embellishments for each card.It's hard to choose a favorite but the snowman is just adorable!